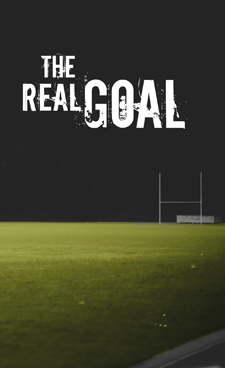 A brand new rugby-themed gospel tract. This pocket-sized (90mm x 148mm) 8-page gospel tract booklet features contemporary design and a conversational style to explain the Christian gospel message for sports fans - especially fans of Union or League. Written by Laidlaw College lecturer Mark Keown (author of What's God Up To On Planet Earth?) and Jeff Hagan. The booklet features a blank space on the back cover to add contact details for follow-up. "Great hand-eye coordination is amazing to watch. How do some players manage to place the ball in exactly the right spot while under intense pressure from the opposition? Everyone admires the talent, skill and mastery of athletes who make the incredible look easy. Where did their abilities come from? It's design, not chance. You are a creation, not an accident..."
Click here to preview the tract (low resolution pdf).